After coming in at number one in Lonely Planet’s Best in Travel 2019 list, Sri Lanka is well and truely on the radar now of many travellers. 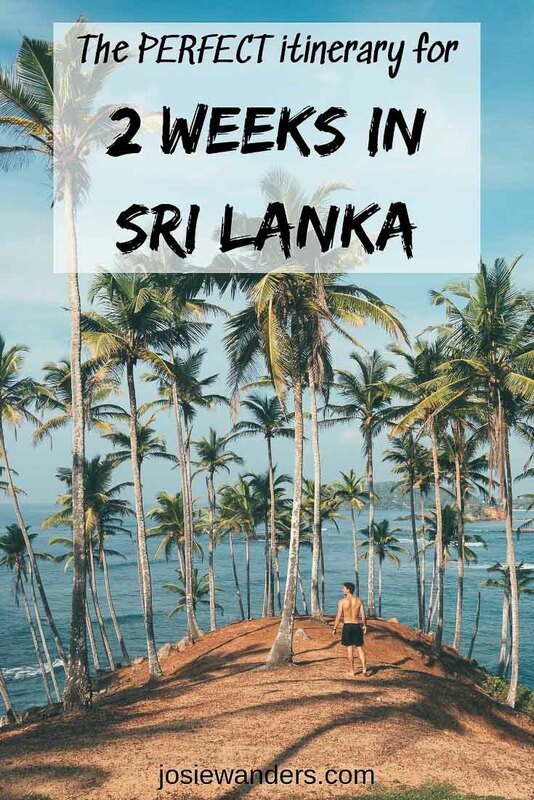 To help you plan your trip, here are my suggestions for the perfect itinerary for 2 weeks in Sri Lanka. Have a look at the Lonely Planet video below to get you in the mood for planning your amazing Sri Lanka holidays. I have compiled this itinerary after my own two week Sri Lanka trip. The itinerary is not exactly the same as my trip as we learnt about other places as we travelled from both locals and other visitors. I hope to get back to Sri Lanka again soon to see some of the things that we missed and to discover some more hidden gems. Is 2 Weeks in Sri Lanka Enough? 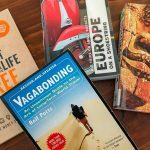 But first – is 14 days in Sri Lanka enough? Honestly, no. There are so many things to do and places to visit in Sri Lanka that two weeks is really only a taster. With experiences ranging from incredible ancient cities to wildlife safaris to amazing temples, beautiful beaches and picturesque train rides through tea plantations, it’s hard to decide what to include and what to leave out. But if two weeks is all you’ve got, then the itinerary I have put together here will give you some of each of the above experiences. 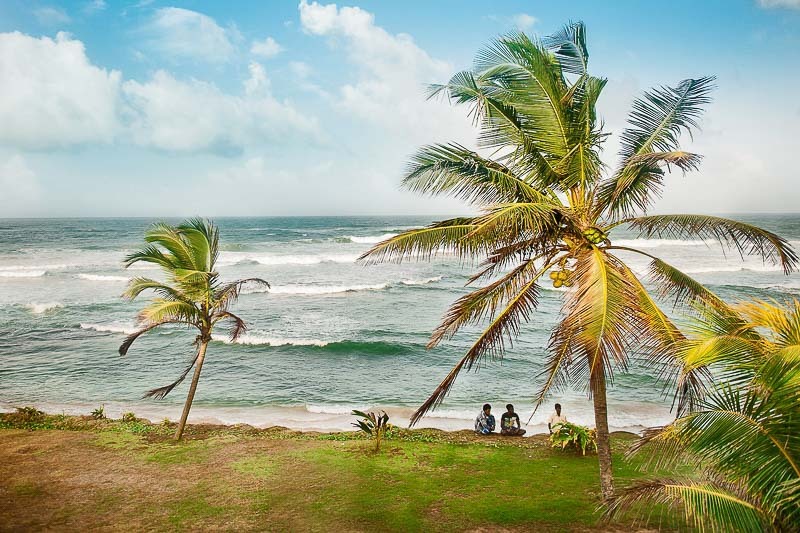 When you visit Sri Lanka you will almost certainly arrive by plane to Bandaranaike International Airport, which is located north of the capital Colombo and quite close to the beach town of Negombo. Once you emerge into the arrivals hall, now is the perfect time to use an ATM machine to get out some of the local currency. You will be able to use your credit card at some large hotels and restaurants in busy tourist areas, but mostly you will need Sri Lankan Rupees to pay for everything. ATM machines in Sri Lanka are not on every corner, but we were always able to find one in each town we were in as we needed them. Also pick up a local SIM card before you depart from the airport. There are counters in the arrival areas, so spend a few minutes looking and comparing the latest tourist packages available. Dialog and Mobitel are two of the most common providers. Now it is time to make your way to your Colombo accommodation. There are a few options for your transfer. We took a taxi as we arrived at night time but if you are on a budget some of the other options will work for you too. Fixed rate taxis – as you come into the arrivals halls you will see stands with fixed rate taxis. This is an easy option and generally costs around 3000-4000 LKR ($24-32AUD/$17-23USD) for the 45 minute to an hour ride into the city. Other taxis – once outside the airport you can also find independent taxi drivers who will drive you into the city for slightly less than the official ones above. Local Bus – there is a local bus that stops outside the arrivals area of the airport and goes into the Colombo Fort train station. If the other buses we took in Sri Lanka are anything to go by, just jump on the bus and wait for it to leave. Once moving, someone will come along and ask for payment. On online search suggests the fare is around 125LKR, but I haven’t been able to confirm that. Probably the most popular location to stay in Colombo is along the seafront at Galle Face. We choose to stay in the Colombo Fort area to be close to the train station for our transport out of the city. CityRest Fort was our choice. This is a basic budget style hotel in a great location. 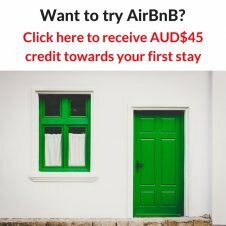 Vivid Colombo – It’s not every day I came across a property with a ten rating on Booking.com, but at the time of writing, this one does. It’s a lovely looking hotel located only metres from the beach. It is a little further from the city centre, but if you are looking for a lovely place at a bargain price this is the place. Haven Fort Hostel – This may be one of the cheapest hostels in Colombo, but it still has an impressive rating of 9.1 so should be a solid choice. Breakfast is included with the price of a bunk. Colombo Downtown Monkey Backpackers Hostel – located right in the heart of Colombo, this hostel is only five minutes walk from the central train and bus stations, so a perfect location for your onwards travel. City Beds – The Regent – This one is located right in the city centre and is a great budget option coming in at the lower end of the price scale. A benefit of this hotel over others is that like a hostel, it provides a shared kitchen for the use of guests. Bunkyard Hostel – Yes, this is a hostel, but it also has a range of private rooms with private bathrooms that are within the mid-range price. And the hostel is really funky, making it hard for me to leave out. Marino Beach Colombo – located right on the beach front a little further down the coast from the Galle Face area, this five star hotel has an amazing rooftop pool overlooking the sea. With lovely rooms for a very good price, this high-rated piece of luxury looks like a bargain. Shangri-La Hotel Colombo – located right at the end of the Galle Face, you get the best of both worlds with this hotel as it is only a short walk over a bridge to the Colombo Fort area and not too far from the train station. Once settled in your hotel, spend the rest of the day exploring the local area or relaxing to recover from your flights. Perhaps ask your hotel for a good suggestion for a nearby restaurant or attraction you can explore on foot. Today is the day to explore Colombo. You can either choose to do a tour, or go it on your own. If you choose to explore on your own, it is very cheap and easy to get around. We found we were regularly approached by both taxi and tuk tuk drivers asking if we wanted a lift. Colombo doesn’t have a huge amount of tourist attractions in the city, but here are a few suggestions of what you might like to check out. Gangaramaya Buddhist Temple – temple filled with thousands of Buddhas in every shape and size. Galle Face Green – a wide grassed promenade along the beachfront. Great for people watching, sunsets and street food. During your day make sure you stop and try some of the amazing Sri Lankan street food. For an authentic experience, enjoy eating with your hands and one of the many local eateries found on every corner. Look for one filled with locals and you will know the food is good. 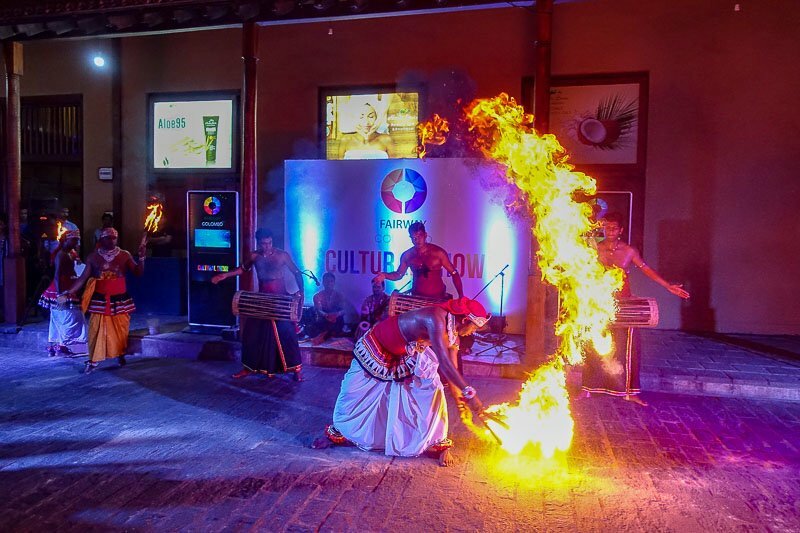 If you are in Colombo on a Monday or Thursday night make your way to Hospital Street in the Fort area in the evening so see free cultural dance performances, including fire dances. I also recommend at some time during your day to have a ride in a tuk tuk, whether it’s getting around or just for a small tour of an area. It’s so much fun. Don’t forget to negotiate a price with the driver first. Today it’s time to get out of the city and start to explore the amazing countryside of Sri Lanka. First stop is the town of Habarana. Get up early to get there by lunch time and have the afternoon free to explore. During the first part of our trip, the trains were on strike so we hired a car and driver to take us to Habarana. The drive takes around 3-4 hours and usually costs around 10000LKR ($80AUD/$57USD). We paid a little more than this but that was due to higher demand with the trains on strike. Finding a driver should not be an issue in Colombo. Ask your accommodation to arrange one for you (probably at a higher price. Our accommodation would provide a driver for 18000LKR). We found our driver only metres outside of our accommodation. He saw us with our luggage and approached us asking where we were going. Remember to use your best bargaining skills to get the price you want. If you prefer to arrange a car in advance, you can book a standard chauffeur drive car here. A second option is to catch the train, which would have been our choice had they no been on strike. The train takes around the same amount of time and is very cheap. Even a first class ticket will only be a few dollars. You will not be getting luxury for these prices, but you will have a great local experience and get to where you are going. It can be a little difficult to find information and buy tickets on line. The best resource for trains anywhere in the world is The Man in Seat61 website. The information he gives is usually reasonably accurate, although I can see fro the Sri Lankan Railways websites that the fares are now slightly higher than he quotes. I you would like to buy reserved train seats in advance, have a read of the information on the Seat61 website here to view your options for advance purchase. If you are not worried about reserved seats, go to the station the day before (or even just before your train leaves) to pick up tickets. In my experience it does not seem like trains sell out, because it was not unusual to see many people standing in the aisles or in the area near the doors. There are also buses going all over Sri Lanka. This is a true local experience, possibly slightly uncomfortable and a bit crazy, but very cheap and strangely enjoyable. I fondly liken the buses to the chicken buses in South America. It is unlikely that you will find bus information on line, your best source of information will be your accomodation, who should be able to point to in the right direction for the bus, or at least tell you where you can find more information. If you are looking for a fantastic homestay I highly recommend Homely Guest. You will not get luxury here, but you will get everything you need provided by a wonderful family that went out of their way to help us with everything from cooking dinner for us if we wanted it to arranging tours and transport cheaper than we could get them elsewhere. Levona Garden Resort – still incredibly cheap, and more like a homestay than a resort, there is also a restaurant on site here. For the remainder of the day arrange to take an afternoon safari to the nearby national parks of Kaudulla or Minneriya. The main reason to go is of course the amazing wild elephants. 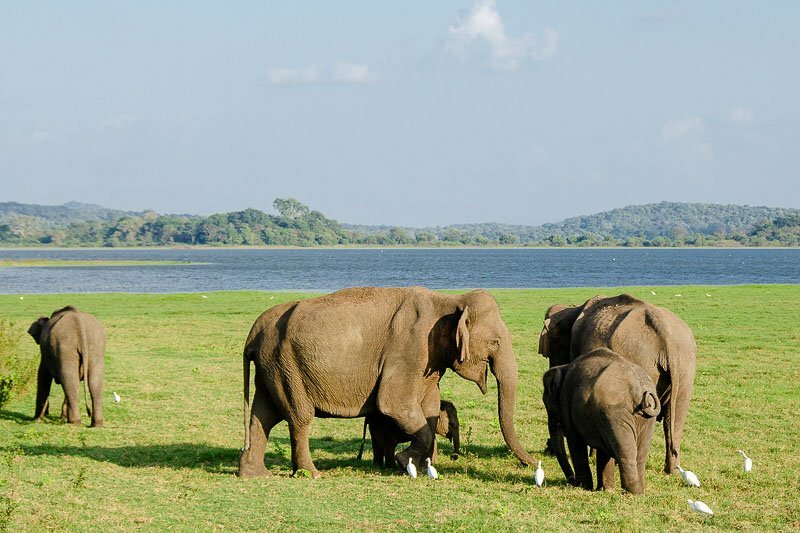 This is an absolute Sri Lanka must see experience. They migrate through both parks and the locals can tell you where they are at any given time. During our visit Kaudulla was the place to go. Tours can be easily arranged by your accommodation, or even walking around Habarana you will be approached with offers. You could also book here in advance too. 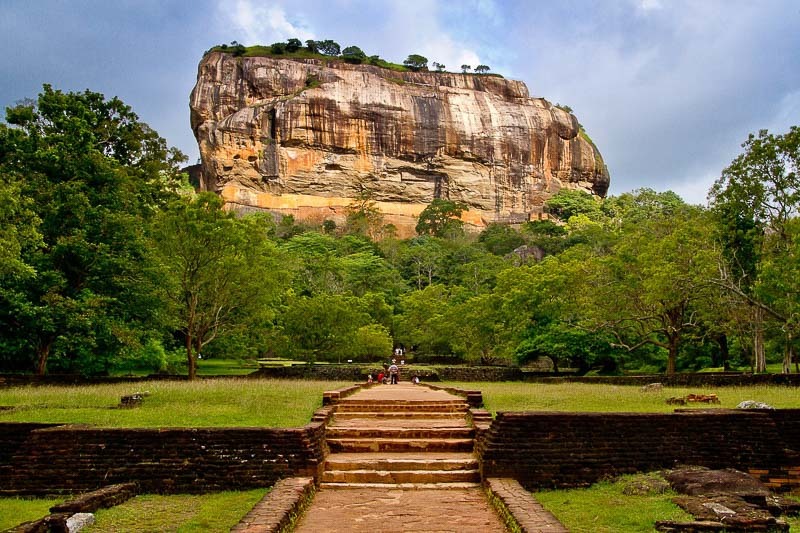 Possibly the main reason to visit this area is Lion Rock, or Sigiriya as it is known. Today you will need to be up early, not only because today is going to be a very busy day, but also because the best time to visit Sigiriya is first thing in the morning. The site opens at 7am, and I strongly suggest that you are there at that time for two reasons. Firstly, you really want to do the climb to the top to Sigiriya before the heat of the day sets in, as the exposed rock really has no where to shelter from the sun. Also, if you climb early in the morning, you will avoid much of the crowd from the buses who come from Colombo or Kandy on day trips. You will need at least 2-3 hours at Sigiriya depending on crowds and how quickly you do the climb. If you have time to spare, visit the museum to learn more about the ancient site. After Sigiriya, set off on the 90 minute drive to Polonnuruwa. When looking at where to go in Sri Lanka you have to include one of the ancient cities. 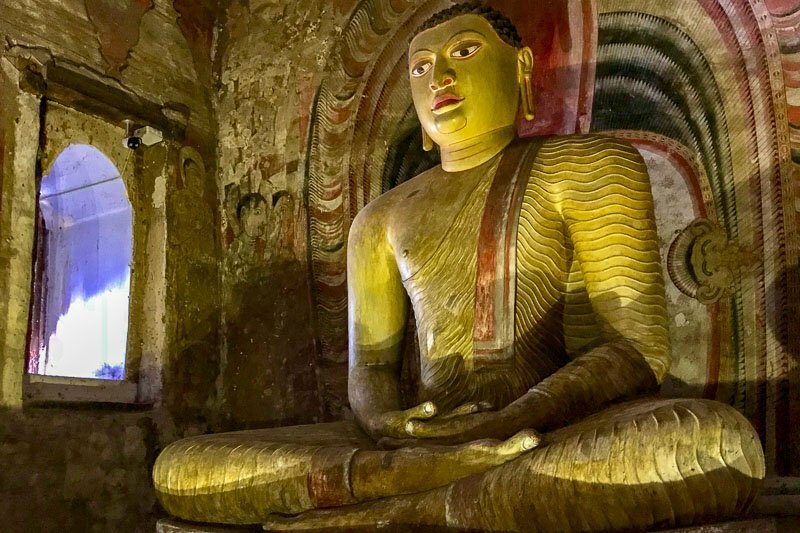 While Anuradhapura is the older of the two, Polonnuruwa is just as spectacular and much closer and easier to visit with a Sri Lanka itinerary 2 weeks long. Remember that since this is an important site, you will need to be dressed modestly during your visit. Spend the rest of the afternoon exploring this huge site before returning to your accommodation before dinner. If you have time, squeeze in a walk around Habarana Lake as the sun goes down and see how much of the local wildlife you can spot. It’s not unheard of to see wild elephants come in this close to town. I recommend arranging a car and driver for the day to take you to both Sigiriya and Polonnuruwa. You can also get the driver to take you between the various Polonnuruwa areas, which will save you on bike hire when you are there. If you are only going to Sigiriya, you can get there by tuk tuk from Habarana. It takes a bit longer, but will be a lot cheaper. As per above, your accommodation can easily arrange a driver with local knowledge. We actually ended up asking the driver who took us on safari if he would drive us around the next day. He happily agreed and we got a great price. If you are up for another early morning, consider climbing Piduragala Rock for sunrise. It’s not too far from Sigiriya and gives great views of it sticking up through the jungle as the sun comes up. If you do not want to get up that early, enjoy a leisurely breakfast then make your way to the nearby Dambulla Cave Temples (sometimes called Dambulla Rock Temple or The Golden Temple of Dambulla). Spend an hour exploring the five caves and learning about the local Buddhist history. Since this is a temple, you will need to ensure you are modestly dressed to be respectful. Make sure you see the huge golden Buddha which marks the new entrance to the temple. Our driver went to a different (closer) parking area so we missed it. He did ask us as we left if we had seen it and I answered yes and there was a large gold Buddha in one of the caves and I misunderstood what he was asking. Back in town, you can choose to take one last trip around this small community be enjoying a ride in one of the local bullock carts as they meander along the small tracks amongst the jungle and farm lands. Get some lunch from one of the local restaurants before making your way to Kandy. There are no trains between Habarana and Kandy unless you go back to Colombo, so your choices are really a private driver or the local bus. We chose to take the local bus. The bus runs right along the main road through Habarana and your accommodation should be able to point out the nearest bus stop and tell you what time the bus will come past. It’s only 94km to Kandy, but our trip took 2.5 hours. The upside was that it only cost 125LKR ($1AUD/$0.70USD) each for our tickets so was incredibly cheap. For those prices don’t expect luxury. The buses are old and crowded, but the locals are great to travel with. You will likely encounter a brightly decorated interior with all sorts of bling and flashing lights. Sri Lankan music will be blaring from the speakers and will be bouncing along on average roads with too much traffic. Sounds like a nightmare, but I quite enjoyed the experience of this way of travel. Once at the bus station in Kandy, jump in a tuk tuk to take you to your accommodation. 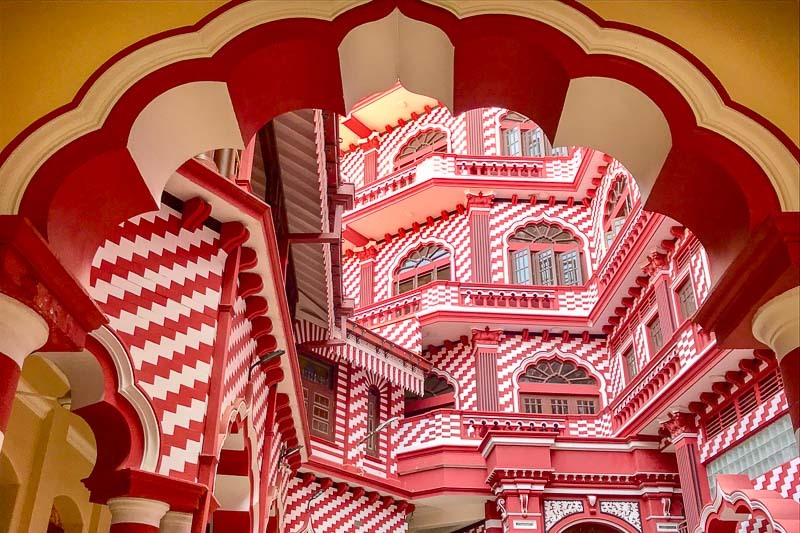 We stayed at Heaven Seven Kandy and I would happily recommend it. This was a proper hotel rather than a homestay. It provided a fantastic breakfast and great view over the lake. Don’t plan to walk to it though – it might not look far but the last part is all uphill and with luggage it would be a nightmare. 390 Villa Vista – A modern hotel in the Kandy hills with fantastic views. Also has a restaurant on site. Hatana Range View Homestay – an option closer to the centre, this home stay also has great views over the city. Mountbatten Bungalow – Kandy – Located in the hills and including an amazing pool, this is luxury at a fantastic price. Kings Pavilion – located centrally, this place really does fit the luxury category! Santani Resort & Spa – for a true splurge, this place is the right choice. Absolutely beautiful location and includes all meals. After you have settled into your Kandy accommodation, you might be looking for somewhere to go for dinner. If you would like to experience somewhere a bit different, consider Helgas Folly. This place also does accommodation (which I have heard is overpriced for what it is), but it’s best known for it’s crazy decor! We only called in for a drink and to have a look around, but Helgas Folly also serves meals at dinner time for residents and guests. There is a limited menu on the website, all listed as vegetarian meals but you are also invited to add meat if you would like. The TripAdvisor reviews don’t look too bad so could be a good option. For today I would suggest hiring a tuk tuk and visiting all of the attractions in Kandy city. Again, you can get your accommodation to organise a tuk tuk for you, but you will also find that if you walk anywhere around the streets you will be approached and asked if you are looking for one by the drivers as they try to get fairs. We were able to negotiate an exceptionally cheap price while exploring the afternoon before by haggling with a few drivers that came along. Be aware your tuk tuk driver may take you to a few places to encourage you to purchase local handicrafts. We went to a gemstone museum and a mosaic factory under the guise of learning about the local crafts. I have to say though, there was no hard sell, just showing off their wares and saying we could buy if we wanted to. At the end of our tour our driver wanted to drop us off for a massage, but again we declined. If you need a pick-me-up during your tour, head to Cool Corner, an ice cream parlour that makes some amazing natural fried ice cream concoctions. Serves are huge, and it is delicious. 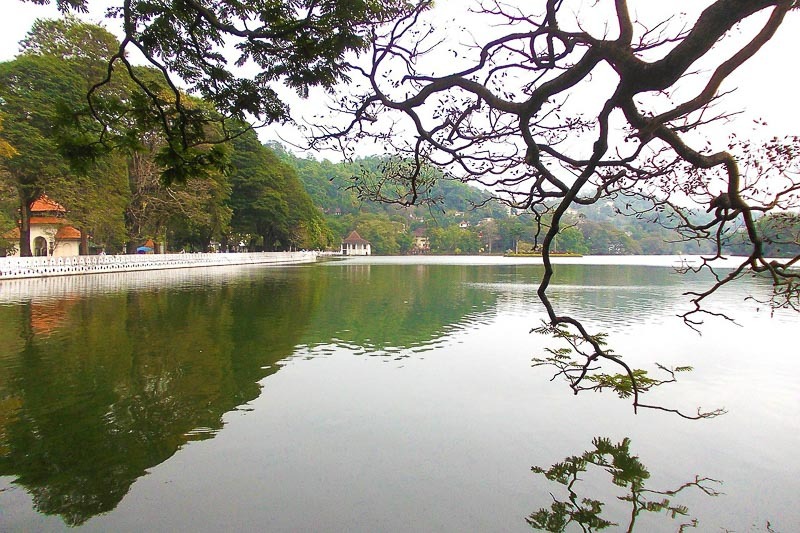 Consider taking a short walk along the Kandy Lake when the tour finishes. See if you can spot one of the HUGE water monitors that live in the lake. I think the one I saw was bigger than me. Before dinner, attend one of the traditional dance performances in town. The shows happen at 5pm and you can buy tickets at the door if you get there about thirty to fifteen minutes before the show starts. If you wish to purchase in advance, you can book here. 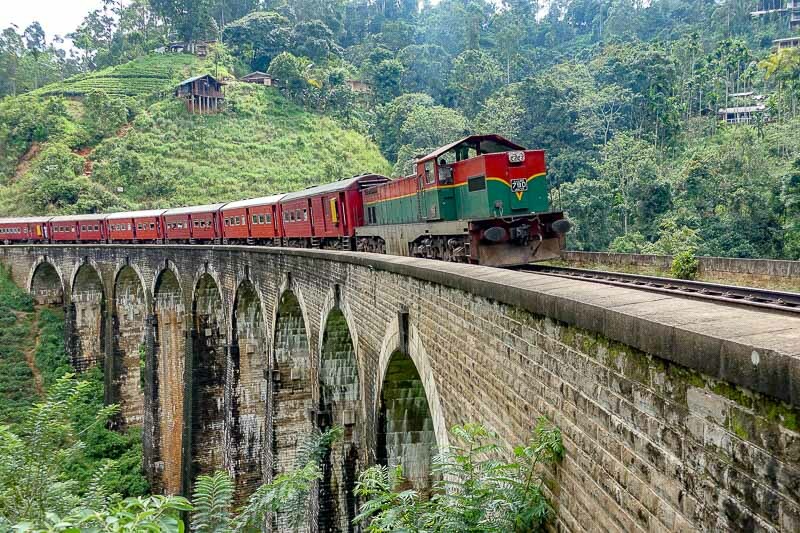 Today is the first part of the famous Kandy to Ella train ride – but only part of the journey. Today we have two different options depending on your interests – relax and enjoy the picturesque surroundings, or choose to climb Adams Peak instead! We didn’t stop here on our trip, but I did look longingly out off the window as the train half emptied out then filled up again with people continuing their journey. 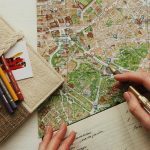 We heard so many good things from people as we continued our travels that I felt it deserved at least one night in this itinerary. The climb to Adam’s Peak is a religious pilgrimage for many of the local people, and now many visitors are joining in on the popular climb too. 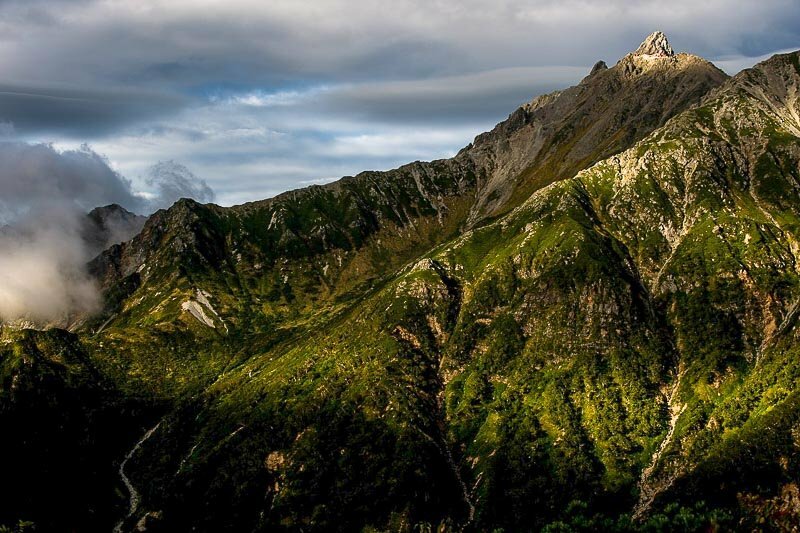 You will stay in the small town of Dalhousie where the trek up the mountain begins. You will need to catch the same train from Kandy as you would if you were going to Nuwara Eliya about. You can find reserve seating Kandy to Hatton train tickets online here at 12go.asia. Once you arrive in Hatton you have two options to get to Dalhousie. You can catch a local bus that takes about 90 minutes, or you can get a tuk tuk or taxi. Budget tip: there will be others arriving on the train going in the same direction. See if other want to join you to split the costs. Once you have settled into your Dalhousie accommodation, grab a quick bite to eat and have a very early night – you will be awake in just a few hours. Today you will finish the last leg of the train journey to Ella. 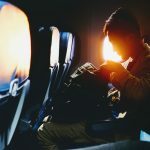 You may be well rested and enjoying the journey, or you may have sore legs and need some sleep, depending which of the options you have chosen for the last twenty four hours. Enjoy a leisurely morning, perhaps a sleep in, or perhaps head out of visit one of the attractions that you didn’t get to yesterday. You can choose whether you would like to catch the late morning train to Ella or wait until the afternoon train. In Ella we stayed at The Bamboo. It was a little on the expensive side, but it was a huge room, delicious breakfast, and could not have been any better located if it tried. We literally walked out our door and al the restaurants were there. It was a short was to Little Adam’s Peak and the Nine Arches Bridge, and about half way between the train station and the bus stops. Once settled into your room, have a wander around the town of Ella. You will immediately notice the cooler climate and perhaps enjoy the relief from the endless heat in the rest of the country. Eat in one of the many places on the main street, and perhaps even stay and enjoy some of the music played in the bars. Rise early today and climb the small peak of Little Adam’s Peak to watch the sunrise. This is a much more reasonable climb, taking about 45 minutes to a hour to get to the top from the centre of town. You can be back at your accommodation in time to have a relaxed breakfast after your walk. While back in town, ask what time the train is expected to cross the Nine Arches Bridge. This will help you plan the rest of the day. You definitely want to visit the Nine Arches Bridge, and it is pretty cool to see it with a train rumbling across it. If you enjoy walking, you can easily walk to the bridge, it will take about an hour to walk from the centre of town through the jungle, rice fields and tea plantations. Give yourself at least thirty minutes at the bridge. Not just to take in the spectacular views, but to allow time for the train to be late – in fact when we visited it was nearly an hour later than we were told it would be. You can hire a tuk tuk in town to take you to the bridge. Ask the driver to wait for you and drive you back to town once you are done. The most popular waterfall is Ravenna Falls, a few kilometres out of the town. We only had time to fit this one in, but nearby you will also find Ellawalla Waterfall (which has a calm pool at the bottom for swimming) or the spectacular Olyaluma Falls. 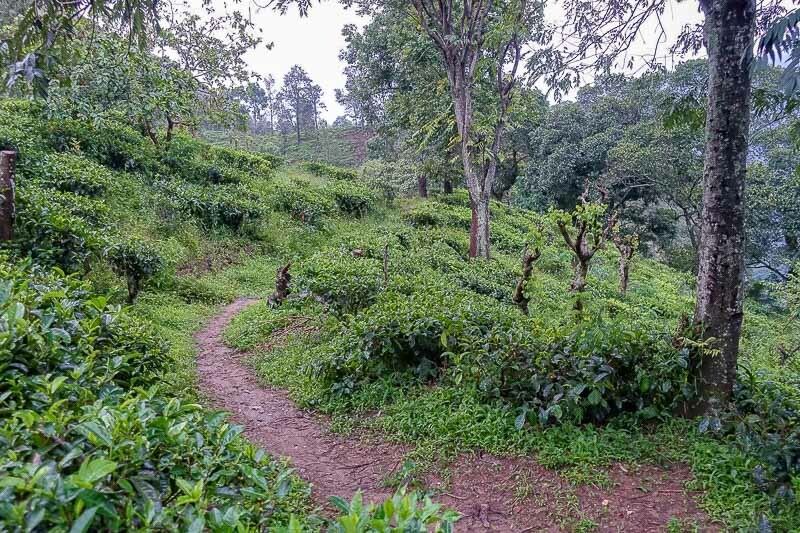 If you haven’t done so during one of the other hikes, make sure you get out into one of the tea plantations. You can wander freely amongst the tea and get some fantastic photos. You will find tea planted near the track to both Little Adam’s Peak and the Nine Arches Bridge. If you didn’t visit a tea factory in Kandy, there are also some here in Ella to visit if you choose. After a day of hiking and waterfalls, how about returning to town to do a cooking class in Ella and learn about some of the amazing Sri Lankan flavours. This class at the Ella Spice Garden begins at 5pm and you learn to cook a fantastic dinner – which of course you then get to eat! Mirissa is another place we did not have the chance to visit during our trip but I have heard so many good things that I just had to include it here too. In Ella, simply make your way to the bus stop in the morning, and you will find buses going in all directions. Ask the locals to point you in the direction of a bus going to Mirissa. It is possible that there may not be a direct bus, but you will end up on a bus to Matera. Just do the same here to find a bus to Mirissa, or you could even hire a tuk tuk for the journey, it’s only about 13km. It will all look like organised chaos, but you will end up in Mirissa for only a few dollars. It will probably take around 5-6 hours on the bus. Of course you can also organise a car and driver. We had plenty of offers while we were in town but we chose to save the money and catch the crazy local bus instead. Three Gables Boutique Villa – Absolutely stunning property with it’s own private beach. Once you arrive and settle in after what will be a long day of travel whether by bus or car, relax by hitting the fabulous beaches for the afternoon. Mirissa is basically a beach town, great for swimming, surfing or sipping cocktails as the sun goes down. 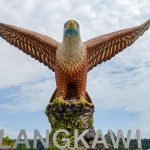 You can spend the day relaxing around town, enjoying the atmosphere and searching for some local favourites such as Secret Beach or the Insta-famous hill with coconut palms on it. To start your day off nice and early, book in a whale and dolphin watching tour! Head out at just after dawn to see these magnificant creatures playing in the ocean. You will be back in town by mid to late morning, with time to enjoy one more lunch on the beach. Afterwards, return back to Matara the same way you arrived, and take the bus to Galle. The bus journey will only take about an hour, and buses run every 15-20 minutes. As you would know by now, there is always the option to get a car and driver to take you to Galle. It is also possible to catch the train between Matara and Galle, but when I looked into doing this for our trip, there were only two trains a day and so it was more convenient to take the bus than wait for the train. For our stay in Galle our accommodation was Ging View Villa. Perfectly located right across the road from the beach, in a leafy spot not too far from a lake, I enjoyed the peace offered here. The owners were lovely and supplied fantastic breakfasts and fruit for snacks. 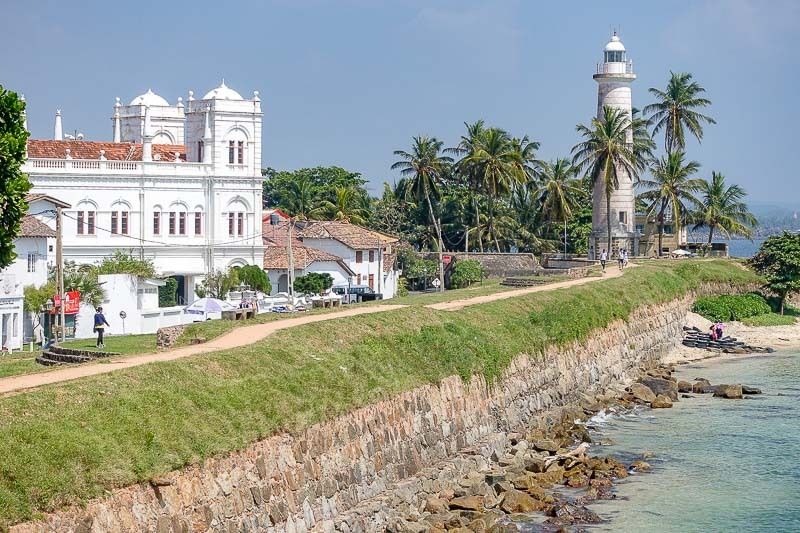 The only downside was that it was a couple of kilometres from Galle Fort, so that meant a tuk tuk ride into town each time we wanted to go out. It was only about $2 each time though, and we would simply ask the owner of the villa and a tuk tuk would arrive in minutes. It should be noted that this part of Galle was completely destroyed during the 2004 tsunami, so everything around here is relatively new. Yara Galle Fort – small luxurious hotel inside Galle Fort. My suggestion for today is to explore the UNESCO Heritage listed Galle Fort area. You can walk the walls and check out the lighthouse, admiring the Dutch architecture as you go. Since it’s nearly time to go home, pick up a few souvenirs at some of the small crafty stores that line the streets. If you would like to learn more about the history of the area, call past one of the museums. Perhaps the National Museum of Galle, or the Galle Fort National Maritime Museum. You could also visit the Historical Mansion Museum, which is a restored colonial house full of all sorts of historical artefacts. 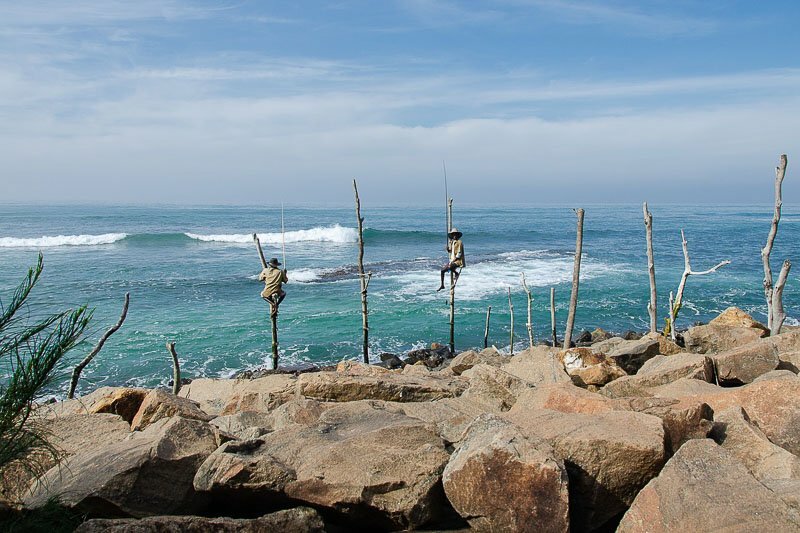 Another thing to do in Galle is to go searching for the stilt fishermen. While mostly this is now done as a tourist attraction rather than actually fishing for food, it’s still an iconic image of Sri Lanka. 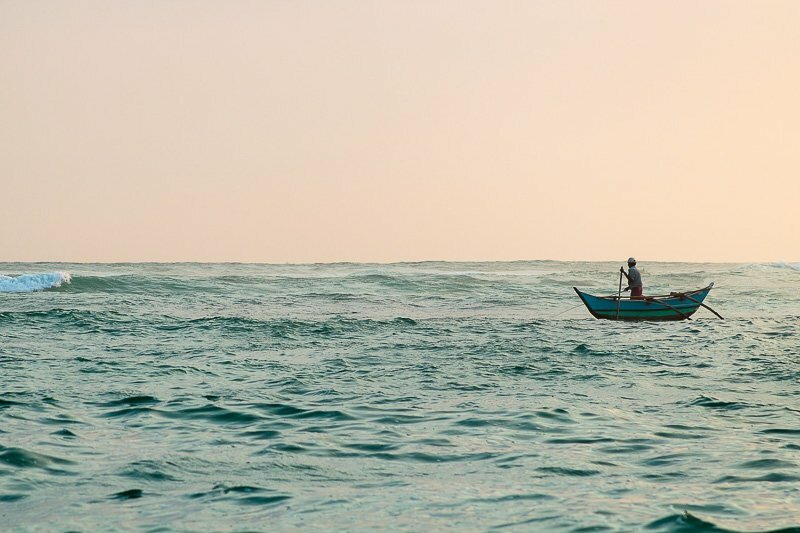 Often the stilt fishermen are to be found in the nearby Koggala area, but you could ask around in Galle to find if there are any more around. You would be able to take a tuk tuk to Koggala to see them, but at 15km, it could take around an hour to get there. You could also go by taxi. Come back to Galle Fort as the sun is going down to spend some time people watching. The locals gather on the walls and the nearby lawned areas to socialise, eat and relax. You will almost certainly come across an impromptu cricket game which you could ask to join in with if you choose. Get dinner in one of the many great restaurants in the streets of the fort. We ate at Coconut Sambal which was delicious. It was all-you-can-eat Sri Lankan curry restaurant. Don’t expect a huge place though, there are only a handful of tables here. We also ate at Lucky Fort Restaurant which do a 10-curry meal to share between two. This is a great way to learn about many of the different curry flavours here in Sri Lanka. Another popular place to eat in Galle Fort is Poonies, but we didn’t get there. For a light lunch, try Calorie Counter. It’s time to start the journey home. Jump on one of the morning trains back to Colombo. While the Kandy to Ella ride has beautiful mountain view, this trip is just as scenic. For much of the journey the train runs right along the beach – with not even so much as a road between then so there are beautiful sea views. I couldn’t get enough. As always there are plenty of drivers willing to drive you, and there are also buses that do the trip too, but I highly recommend the train for the views. It will only be a few dollars, so a great budget option too. Once back in Colombo, there are a couple of options to do the short trip to Negombo. We made our way across the road to the Colombo bus station and asked around until we found where the bus for Negombo left. It ended up being more of a “tourist bus”. Much more coach-like that the old chicken buses that get around the country, and it was air-conditioned! There was a bit of a line up with locals and tourists alike, and we couldn’t get on the bus that had just arrived, we had to wait for the next one. Tickets for us were 130LKR ($1.04AUD/$0.75) so again incredibly cheap. 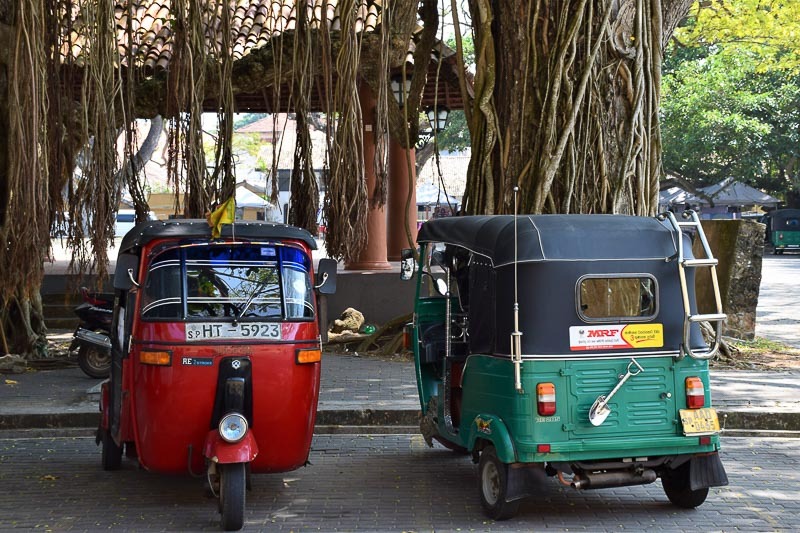 Once dropped off in Negombo – for us it was just at the side of the road, but I have read some go to a bus station – you will probably need to get a tuk tuk to your accommodation. We splashed out on our final night in Sri Lanka and stayed at the Cloud Nine Boutique Hotel which was lovely! In fact it was so lovely that once we arrived at around 5pm we pretty much didn’t leave again until we had to go to our flight the next morning. We ate both dinner and breakfast in their restaurant and it was delicious. If you have time in the morning, consider some more Negombo activities as per above, otherwise make you way to the airport and bid Sri Lanka goodbye. If you are anything like me, you will soon be planning to return because two weeks just isn’s enough and this amazing country really gets under your skin! You have no idea how much I needed to read this post! 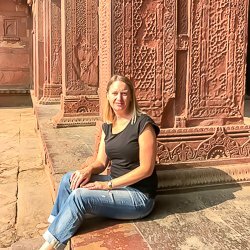 Sri Lanka is top of my bucket list for this year but I was finding it so hard to research and plan a route – thanks so much for this post!! Thanks Roz, glad it is useful. No matter where you go in Sri Lanka you will have a great time – it’s an amazing place. I had no idea there was so much to do in Sri Lanka! It’s so small! SOOO deceiving! And this is really only the southern half of Sri Lanka. There is so much more than this to see. Great itinerary. We have been looking at Sri Lanka as a destination for next year so this will definitely help with the planning! Thanks Lisa. Definitely a worthwhile destination.